A job at Fort Pickett was Colony’s first million-dollar contract. To this day, Colony continues to do work at Fort Pickett. Scott Claud had been the President of Colony Construction, Powhatan, Virginia, for six months when he and Vice President Harry King went for a beer after work. King remembers the conversation well. “We were dreaming and talking business and Scott said, ‘We’re going to go for a million dollar contract,’” King recalled. For a company that was doing $2 million in sales per year, a job of that size and value seemed like a distant dream. After King had finished laughing off the idea, he asked Claud who would run a job of that size. Claud’s answer was simple: you. King began working with Colony in high school, worked summers on its paving crews through college, then ran a crew for a couple of years before leaving to work for an engineering firm for a few years. At the time of the million-dollar-job bar talk, King was running the company’s maintenance department, which mostly performed maintenance on VDOT roads. Less than a year later, he would be the project manager on a $1.4 million job to repave Military Boulevard at Fort Pickett. Nearly 20 years later, Colony continues to do work for Fort Pickett and million-dollar jobs are no longer an outlier. 2001 may have been the year Colony first won a million-dollar bid, but the company’s history began in 1989. It was founded by Claud’s father-in-law, Earl Pryor, as a grading contractor. Although the company expanded to offer paving in the mid-90s, Colony remained a smaller company of 20 to 25 employees until Claud joined the company in 2000. Claud, who had previously worked in the car rental industry, moved to Powhatan from Atlanta with his wife, Cathy, to join the family business. With him, he brought big plans for the small company. In 2002, 2003 and 2004, Colony saw an average increase in sales of 20 percent each year. In 2005, the company decided to purchase its first asphalt plant, an Astec 300 TPH drum plant with three silos. The new plant opened in Powhatan in March of 2008. “I wouldn’t say I was the smartest guy in the world to put up a new asphalt plant in 2008,” Claud joked. However, the timing of the new plant was integral to Colony’s survival and even success during the recession. 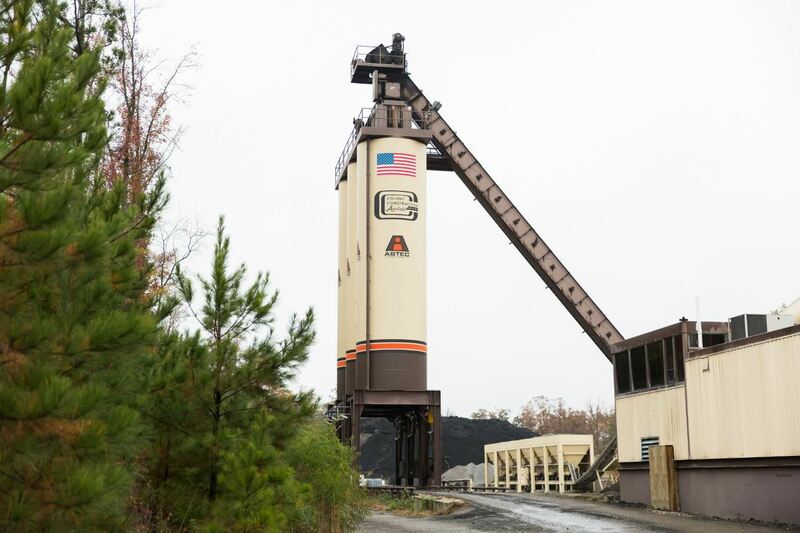 Colony’s first asphalt plant was an Astec 300 TPH drum plant with three silos that opened in Powhatan in March of 2008. Before the recession, Colony’s work was about 20 percent VDOT and 80 percent commercial and municipal. During those tough years, the percentages swapped. 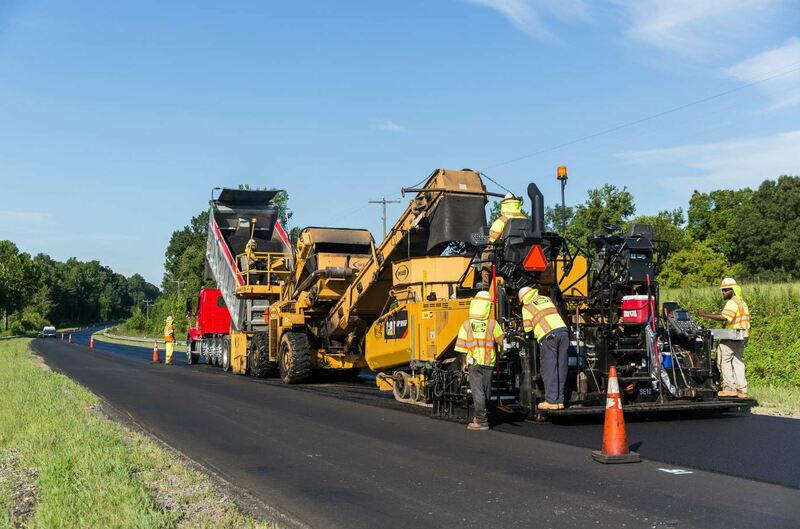 Around 80 percent of Colony’s work were maintenance projects for VDOT, while 10 percent was commercial paving and 10 percent was new construction. In fact, Colony was able to continue growing through those years. Between 2009 and 2012, Colony’s crews laid an average of 150,000 to 180,000 tons per year. In 2010, the company expanded to offer milling, and in 2012, it put up a second Astec 300 TPH plant, on the Luck Stone quarry in Burkeville, Virginia. Around 85 percent of the mix Colony produces goes to its own paving crews. Today, Colony Construction employs 160 full-time employees and over 30 part-time employees in the height of paving season. Its two asphalt plants produce approximately 400,000 tons per year: around 300,000 at its Powhatan plant, and 100,000 at its Burkeville plant. The company’s primary mixes are BM-25.0 for bases, IM-19.0 for mid-level, and SM-12.5E for state work and SM-9.5A for driveways. They’ve also been paving SM-9.0 in neighborhoods and have found residents prefer that finer mix. On average, Colony runs about 27 percent RAP, and the majority of mixes the company produces for Virginia’s DOT are warm-mix. Both of the company’s plants are equipped with Astec’s Double Barrel Green systems. Colony chose this system for three reasons, Claud said. First, to lower fuel consumption, second, to increase asphalt production, and third, because VDOT had just approved the Double Barrel Green system as an approved warm mix option. 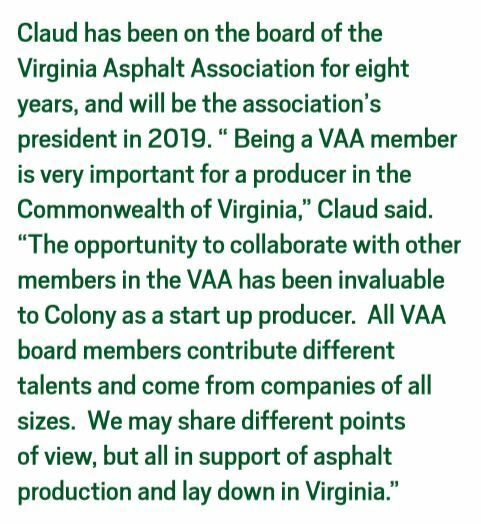 Today, Claud estimates that nearly three quarters of Colony’s work is VDOT or municipal work, and around 85 percent of the mix Colony produces goes to its own crews. 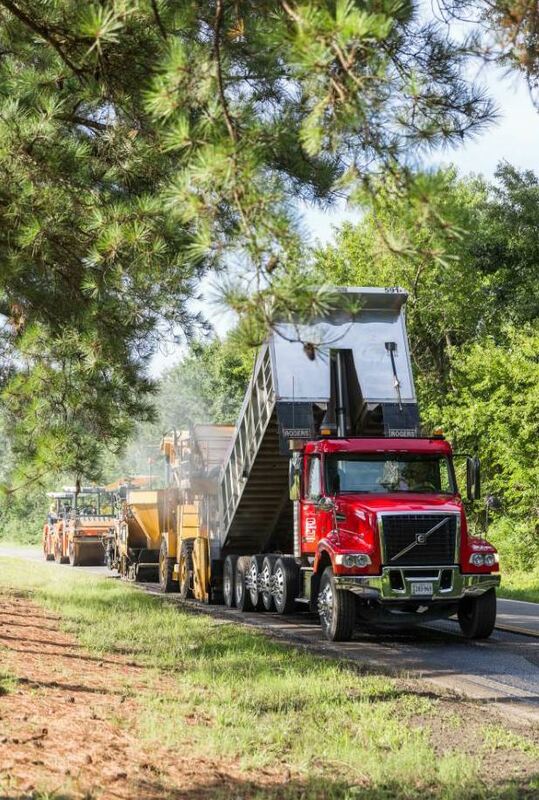 To support this production, the company has four paving crews, two milling crews and a trucking department of more than 60 trucks. The company’s equipment choices have also impacted their ability to attract new talent. When they began expanding their fleet of dump trucks in the early 2000s, Claud said they saw drivers’ preferences changing. “It used to be all manual, but the workforce is changing and now the preference is automatic,” Claud said. The 40 to 50 trucks Colony has purchased since 2002 have all been automatic. This decision has made it possible for Colony to find new seasonal drivers in an unlikely place: school bus drivers, off for the summer. “If our trucks had stick shifts, many of them may not be able to drive our trucks,” Claud said. He estimates that around 15 of the company’s haul truck drivers are school bus drivers, who already have their commercial driver’s licenses and are looking for summer work. Nearly three quarters of Colony’s work is VDOT or municipal work. Here, the crew paves along Route 153. Colony has been thankful that its operators tend to return season after season, enticed by the company’s culture, a good benefits package, and the opportunity to move up through the ranks of a growing company. King himself is proof of this possibility. Five years after managing Colony’s first million-dollar job, he was promoted to Vice President. In fact, he adds, many of the employees that began with the company as equipment operators are now managing various departments of the business. “It’s been interesting to see them step up to the plate as managers and take on new challenges,” King said. For example, when Colony’s trucking department manager started with the company in 2003, he was overseeing six trucks. Today, he oversees a fleet of sixty. In 2012, Colony put up a second Astec 300 TPH plant, on the Luck Stone quarry in Burkeville, Virginia. Claud said the company is in the process of expanding its offices and shop. “We’ve outgrown our two little shops with four bays, so we’re building one eight-bay shop this winter,” near its Powhatan plant, Claud said. Also on the agenda is building a new corporate office in 2020 or 2021, and, eventually, a new training facility. “Some key employees and I sat down and worked out a five-year plan,” Claud said. 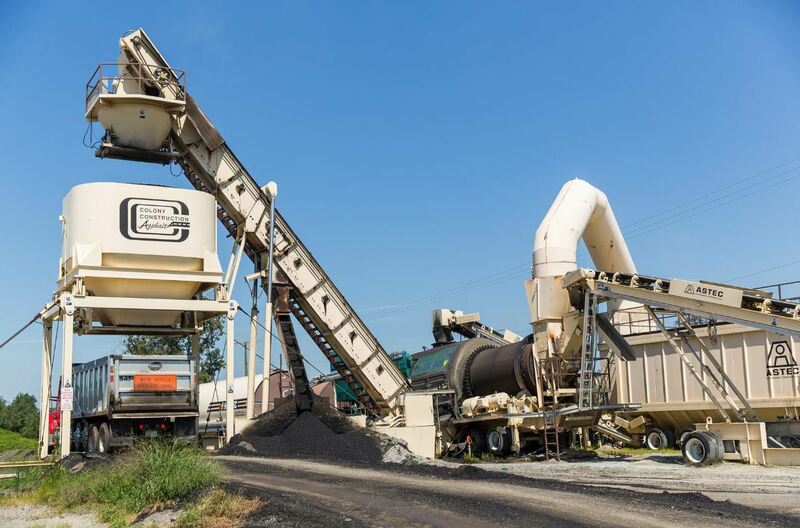 “One goal is to purchase a piece of land between our two plants for stockpile overflow, and construct a test road site where we can continue training milling and paving operations. Our industry is heavily focused on training people on the job, and we look to a future training facility as an opportunity to enhance our crews’ on the job skill sets,” Claud said. One thing that hasn’t changed since Claud joined the operation in 2000 is the core team. King continues to run the operations side, while Claud focuses on the business side. Mike Bell is still general superintendent; Blake Rogers left the company briefly and returned in 2010 as the company’s director of operations, and in 2005, Jimmy Coffman joined the team as vice president of asphalt plant operations to oversee the asphalt production facilities. According to Claud, there are another 20 individuals with at least 15 years of service to Colony and its growth. From 2000 until the present has also been a period of change for Colony’s fleet, according to General Superintendent Mike Bell. At the start of the 21st century, the company was using Blaw-Knox 161 pavers with standard screed boards and Dynapac rollers. In 2001, the company invested in a Blaw-Knox 180 and a Hypac CB series roller. 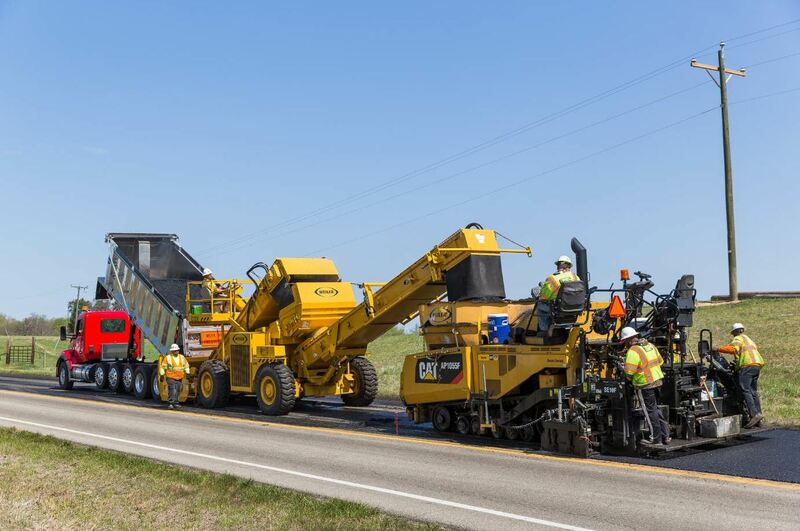 The 180 series paver included a Util-A-mat screed board, which improved density, and heavy duty extensions for paving wider passes. “The 180 and 200 series Blaw-Knox had grade skis that would ride on the road and closely match the desired depth of asphalt,” Bell said. “This would take out some human mistakes, but any rock, hole or pile of mix would send the machine into a mass of corrections. The Hypac CB rollers offered vibration isolators that gave 12 tons of compaction with a 10-ton roller, as well as reduced operator fatigue. “One unique design to this roller was its two seats and a tugboat-style steering wheel,” Bell said. “This made training new operators safe and easy. The operator’s seat and trainee’s seat both had seatbelts and access to the wheel.” The crew nicknamed the roller ‘Tugboat’. Colony operated its first Blaw-Knox MC-330 material transfer vehicle in 2005. 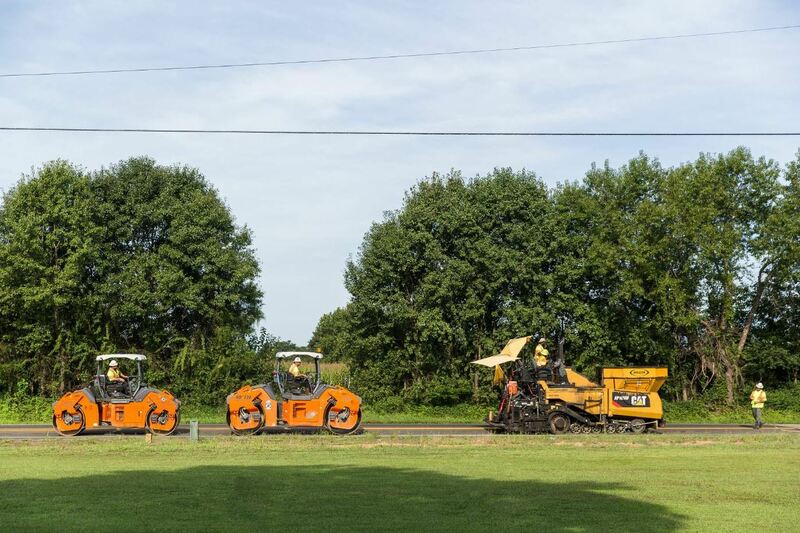 “By going continuous, we were able to smooth out the auger rotation, screed board settling, speed of paver, and countless other variables that cause ride variances,” Bell said. “With this new found speed and continuous paving, Tugboat was struggling to keep up,” he added, “so we enlisted the help of a pair of Caterpillar CB543XWs.” The 12-ton rollers featured three speed vibrators, high/low amplitude, and the drums were wider than the Hypac CB. As the company continued to grow, it added a Blaw-Knox PF-5510 paver in 2004, a Weiler MTV in 2009, and two Hamm 120HD rollers. 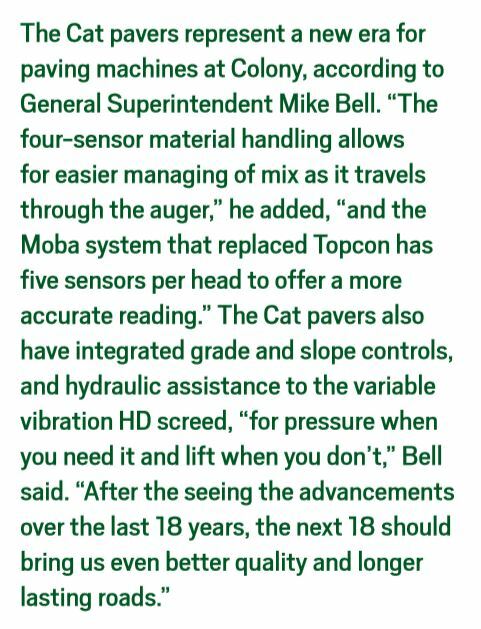 “The 5510 had all the bells and whistles to lay a smooth, uniform mat,” Bell said, including sonar non-contact material sensors, Topcon non-contact four sensor grade control skis, and a variable speed vibrating HD screed. The Weiler MTV enabled remixing to ensure a uniform mix with uniform temperature. 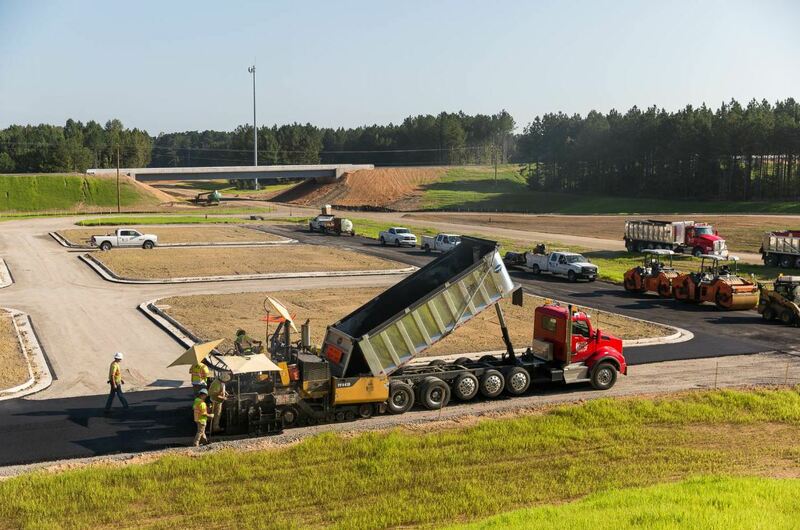 “After the seeing the advancements over the last 18 years, the next 18 should bring us even better quality and longer lasting roads,” Bell said.